Obagi Nu-Derm Clear Fix OTC Gel Review: Is it a scam? Nu Derma Clear Gel is told to be formulated specifically to lighten vulnerable and aging skin without the effects of cruel, manmade chemicals such as hydroquinone. It is used to reverse the damage inflicted by UVB and UVA rays as well as hyperpigmentation. This lightening cream is used to achieve an even skin tone and diminish the visibility of dark marks for clear complexion which is smooth. 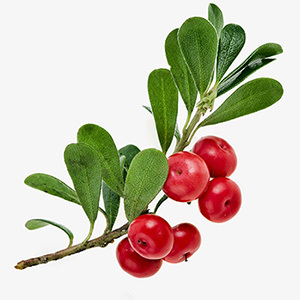 The type of hydroquinone included this gel has been expressed from a plant called bearberry to counteract the side effects of unpleasant synthetic chemicals. The manufacturer tells clients that it is a completely natural answer to skin whitening. It fades the flaws the usually result from breakout scaring, melisma, and photo damage. Users do not need a prescription for this product and while the company says it is gentle on vulnerable skin, it effectively lightens as well as clarifies. The distributor makes further claims that Nu Derma Clear Gel sustains healthy skin cell formation for amazingly, radiant beauty. This formula is supposed to reverse damage from the sun’s rays as well as the aging while penetrating deeply to rehydrate parched, worn-out skin. Glycosylated hydroquinone is called arbutin after extraction and used for gently lightening the skin. It comes from fruit trees such as bearberry, pomegranate, and pear and is popularly added to beautifying formulas around the world. Vitamin E permeated parched skin and deep conditions it while forming a barrier which prevents moisture loss. This oil has proven to be effective for reducing the visibility of blemish scarring, spots from aging, and stretch marks. Scientific research has been conducted on each ingredient separately. It is allowed to claim it is free of hydroquinone because the type that is in it is from plant life. The company included a sun protectant in Nu-Derm Clear Fix OTC Gel. No clinical studies for the post market formula are available. There is propylparaben; methylparaben; saponins; and butylparaben in creation of this formula. There manufacturer’s webpage offers no data explaining their OTC version of this product. This is a very real possibility that this is not produced by the Obagi manufacturer. This product may not be purchased from the company webpage as no information about it is posted there. Consumers can spend $70 to order a 2-ounce tube from amazon.com. This skin brightening formula is a poor purchase decision in light of the steep price and no available money back guarantee.